The OutPerform Supply Chain Blog covers a wide range of informative Supply Chain topics and best practices that if fully implemented will help you generate a return on your investment in your supplier performance and relationship management initiatives. September 24th 2017 – Supplier Performance Management – Supplier Incentivisation Programs, what works best? September 13th 2017 -Could Standardization, Automation / Data Integration for Supplier Registration & Prequalification save the Oil & Gas Industry over a $ Billion? October 21st 2016 – Integrating SRM with other data sources – what does the future hold? October 17th 2016 – Just how Critical is ‘Real-time Data for Supplier Collaboration’ in improving Supplier Relationship Management Initiatives? May 13th 2016 – Right First Time Invoices – The role of Visualization in solving ‘the P2P Error problem’ on Field Tickets, Orders, Invoices, and Remittance docs. April 15th 2016 – Is Late Supplier Invoice Payment having a negative impact on Supplier Performance ? 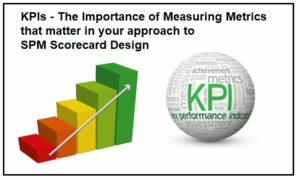 March 4th 2016 – KPIs for Supplier Performance Management – Considerations for Comparing Like with Like (apples with apples ) when setting KPI Targets & Bands. February 11th 2016 – Are ‘Somebody’s secret Spreadsheets’ Killing Supply Chain Advancement ? Oct 30th 2015 – Exaggerated Challenges of SPM /SRM Data Migration. Daryl is a Supplier Performance and Relationship Management Specialist at Outperform SRM. He provides guidance and consultancy on the design, development and Implementation of various Supplier Performance & Relationship Management Systems for Global Oil & Gas Operators and Service Companies across Upstream, Midstream and Downstream Sectors. Specialism’s include Supplier Performance & Relationship Management, Supplier Risk Management, Supplier Enablement, Operational Risk Management, Contract Compliance Management, Scorecards, KPI’s, P2P Process Automation, PIDX Standards, and Management Information & Reporting Systems. A keen promoter and believer of the importance and focus on his ‘partnering to solve approach‘ in improving Operator / Supplier Relations in 2015 Daryl was awarded the honor of “Supply Chain Pros to Know” in recognition of the leading supply chain professionals and experts worldwide. OutPerform SRM is a management consulting firm that helps leading Oil & Gas businesses establish value added solutions for effective Supplier Relationship Management (SRM). We help our clients reduce inefficiencies, reduce costs, and make lasting improvements within their Supplier Relationship Management (SRM), Supplier Performance Management (SPM), and many more important business critical Supply Chain Initiatives . Through our hands on experience with Major Oil and Gas Operators over the last 17 years we’ve now built a firm uniquely equipped to this task across all Major Category Lines. Our Experts have Experience of working with a wide range of internal and external stakeholders with the ability to build relationship and influence outcomes. Our Experience of supplier performance management includes detailed knowledge of processes and frameworks including commercial performance management of contracts and knowledge of supplier risk management techniques. For a Free 20 minute (no obligation) discussion call click here to email us and we will contact you to arrange a suitable date and time for a brief tele call to discuss best practices in SPM & SRM.